How many of us here are guilty of wanting a clean home? Or a clean classroom for our children? Or even a clean car? Please raise your hands. I am hoping that all of you raised your hands and said I do I do. Keeping the areas that your children live in and frequent clean and as germ-free as possible is an obsession of just about every parent I know. We use hand sanitizer every time we touch or think we may have touched something and we use sanitizing wipes to wipe down every surface that our kids touch and then we wipe down our kids. It’s a never ending cycle. The bottom line being that we want our kids areas clean. There is nothing wrong with having these areas clean but aside from living in a bubble, this means that you are going to have to clean and this inevitably means using some form of chemical or chemicals and that is where the danger starts. 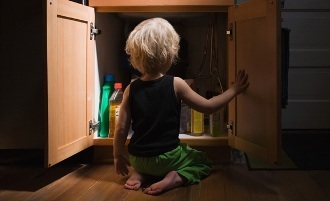 According to Yahoo Health and Wellness, more than 7 million accidental poisonings occur each year and 75% of those involve children under age 6. Injuries vary from minor such as itching or irritation to more severe injuries such as breathing difficulties, internal injuries and sometimes even death. Household poisonings typically involve medicines, household products and cosmetics that were left out, unlocked and easily accessible. Some of the packaging and labels on these products is very close in color and animation to some of the foods our kids love to eat and is many times confused as a snack or drink when it is in fact a chemical such as glass cleaner. The whole key to trying to avoid these terrible situations is prevention. A little planning now can make all the difference later. Keep medicines and chemicals out of sight and reach of children, preferably in a locked cupboard or childproof chemical lock box. Never store chemicals near Food to avoid possible confusion. What if I am unsure about what has happened and need help? I will tell you what I tell everyone who has a “what if” question about injuries. Call 911. The dispatchers can help you while the emergency crew is on the way and may even be in contact with poison control at the same time. Kids are naturally curious and explore every nook and cranny of their homes and will unfortunately find anything you have left lying about or unlocked. While we cannot stop every injury from household items we can lessen the blow by spending some time on prevention and educating our children as to what is safe and what is not. Now that the holiday season is in full force, you’ve probably noticed an increased availability of sweets everywhere you turn. 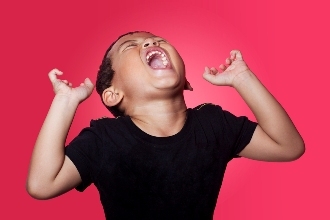 Your child’s teacher asks for everyone to bring a candy to exchange, the dance recital serves punch and cookies afterward, and don’t forget the homemade fudge at Grandma’s house. 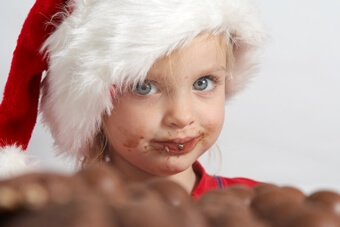 Is it possible to prevent dental problems for your little one during the Christmas season? Yes. The key is “everything in moderation,” along with some important advice from your child’s dentist! Sucking on a hard candy cane for a half hour or more means constant sugar exposure on your child’s teeth. Of course, you don’t want to be the one to throw them out completely. For a happy compromise, limit them to no more than a few candy canes per week (just during the holiday season, of course) or purchase the smaller ones instead. If you’re at a holiday party and your little one wants to indulge, steer them toward the cookies, as opposed to the baklava or brittle. A softer, less-sticky food won’t “hang out” in the deep grooves of the back teeth for hours on end. Gums and candies with Xylitol as the primary sweetener can actually limit plaque and acid levels inside of your child’s mouth, reducing their risk of tooth decay. If you’re out and about without access to a toothbrush — and you know your child has just enjoyed a plethora of holiday goodies — keep Xylitol gum on hand to at least counter-act some of the sugary acids that their teeth have just been exposed to. Encourage your child to have a refillable bottle of tap water in their backpack or as they snack throughout the weekend. Tap water contains regulated fluoride levels and the pure H2O rinses away acids after meals. Now is a good time to pick up a bottle of fluoridated mouthwash for your child to use before bedtime each night. An over the counter rinse is fine. Brush and floss first, have her rinse, then don’t eat or drink anything else before bed. Fluoride remineralizes weak areas that may be compromised from sugary sweets during the daytime. If your child hasn’t seen a dentist in the last six months, now is a great opportunity (especially before your end of the year dental benefits expire). Regular checkups promote healthy smiles and eliminate the risk of toothaches during the holidays! 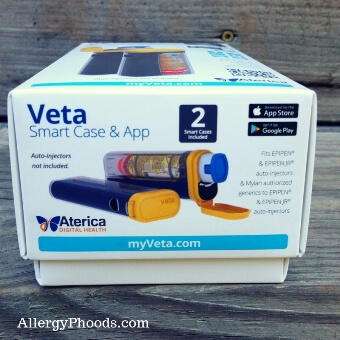 Veta Smart Case & App – This is, in my opinion, allergy worries meets digital technology. This device reminds those with food allergies to bring their auto injectors with them. 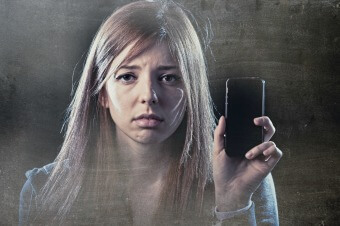 Utilizing Bluetooth technology, these electronic cases offer immediate notifications whenever the person who should be carrying epinephrine forgets it, goes too far without it, has it in the wrong temperature and more. It’s like having someone following you around, tapping you on the shoulder and telling you that you need to make sure your epinephrine is cared for to keep yourself prepared. The Veta Smart Case app has the ability to set up multiple user profiles to strengthen your support circle and it even has a visual aid to help someone administer epinephrine if it is needed. The Veta Smart Case can be found on Amazon . This is a gift that will allow those with food allergies to LIVE with food allergies. Land of Not– Having food allergies can make us forget the positive side of life. This book is one of the newest ways to share your passion for helping while teaching children that food allergies is not about who they are with the allergy, but rather who they can be with the allergy. This book is part of a national campaign to raise food allergy awareness, bring people together while they are reading and learning and includes a mission to share this book in schools everywhere. The book is subtly humorous in its setup while being very kid-friendly, making it a must-have for people of all ages. Purchase a book to donate at a school near you, read it in your child’s class or keep a copy for your personal library. 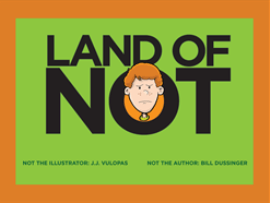 You can order Land of Not right on the Land of Can Whichever you decide, this book is an amazing gift option that will be perfect for reading together. Backpack Health – Because so many of us are spending more and more of our time on electronic devices, why not put all of what we really need at our fingertips? Think of this app as your health empowering you to have all of your medical history in one spot while also having the ability to engage in true to life research for multiple health issues. Backpack Health gives you the ability to download all of your personal health information while also doing the same for anyone else in your family that you would like to include. Simply put “Your health information belongs to you. You have a legal right to it, and that means with the right tools, you can make the most out of your own health narrative. 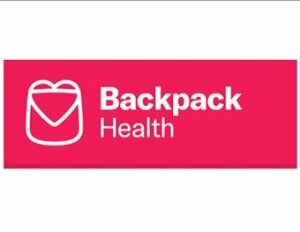 Our goal is to help you do just that.” The Backpack Health app offers multiple languages to ease the stress of trying to translate health concerns while traveling and empowers it’s users to take control of their health. 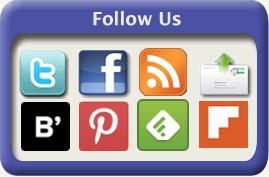 This user-friendly app can be found at the App Store , Google Play or directly on their website. Helping yourself while helping others each and every day is the greatest gift of all. Whichever item you choose to share this season, all of them offer the same mission for those with allergies- be prepared. Study after study has shown that being prepared is the first line of defense. Stand up for your allergies, stand up for the right to know how to have the upper hand for situations before they happen and embrace anyone that is willing to lend you a helping hand in doing this. Nobody asks to be given allergies but everyone asks how they can make their weakness into strength. All you need are the right tools and someone who offers them to you. For any drug or medication to be effective it must reach the gastrointestinal tract where it will be absorbed through the stomach or intestinal lining and enters the blood stream. It then circulates in the bloodstream to get to the site where it can affect the infection or other issue for which it is being used, in the right concentration to be maximally effective. If this process is interrupted or altered in any way the effectiveness of the medication may also be altered and therefore the infection might not be treated adequately. First of all, the medication (antibiotic) must be in the effective chemical form to enter the gastrointestinal tract and be absorbed, and so most medicines are combined with a chemical to aid in ingestion and absorption. 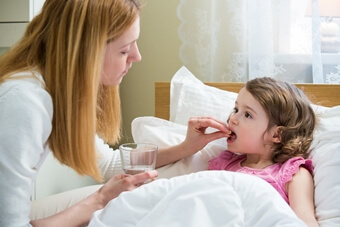 Children obviously have problems with pill form medications and therefore liquid preparations have been developed for just about any medications. If that medication causes nausea and/or vomiting the chain is broken and adequate delivery of the antibiotic cannot be established. One must also be aware of the local climate in the stomach and intestines; any variety in the acidity or other factors can alter the absorption of the medication. If there is disease process affecting the lining of the stomach or intestines such as malabsorption, short bowel syndrome after certain surgeries, acid reflux disease, hyperacidity, and other issues, this may also affect absorption of medications. Any food or fluid taken with a medication may alter the effectiveness of the medicine and therefore it is very important to follow directions on the prescription bottle placed there by the pharmacist, the expert in such matters. Because of the calcium content of certain foods, and because calcium can bind to certain medicines making them more or less effective, there are certain antibiotics that should absolutely not be taken with milk, cheese or other milk products. Tetracycline (doxycycline and other forms) can be deactivated or inactivated by concurrent ingestion of these milk products. To some extent some other antibiotics may also be affected by milk, etc. so it is again very important to follow the pharmacist’s directions; ask any questions you may have regarding these directions because occasionally taking some antibiotics along with food can enhance the absorption.